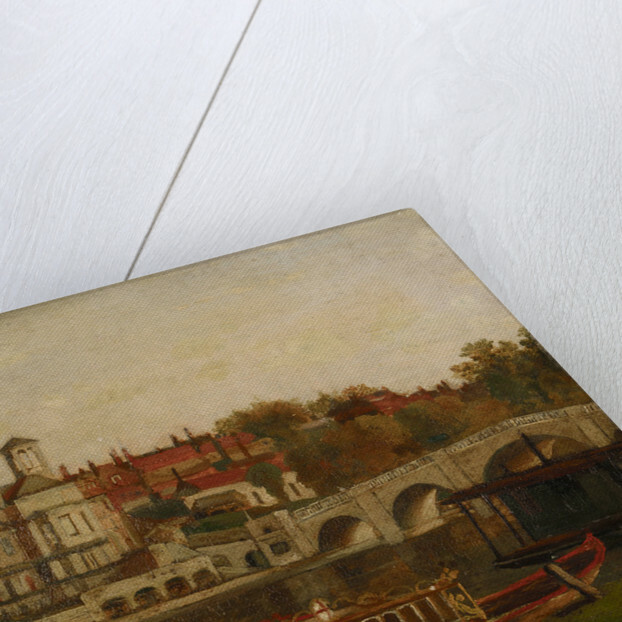 A naive scene on panel showing a City Livery Company Barge moored on the Thames at Richmond. The City of London crest is clearly visible on the roof of her cabin. A figure rests on board, perhaps waiting the return of the party who have alighted the barge at Richmond. A landing stage can be seen to the right with a bridge beyond. 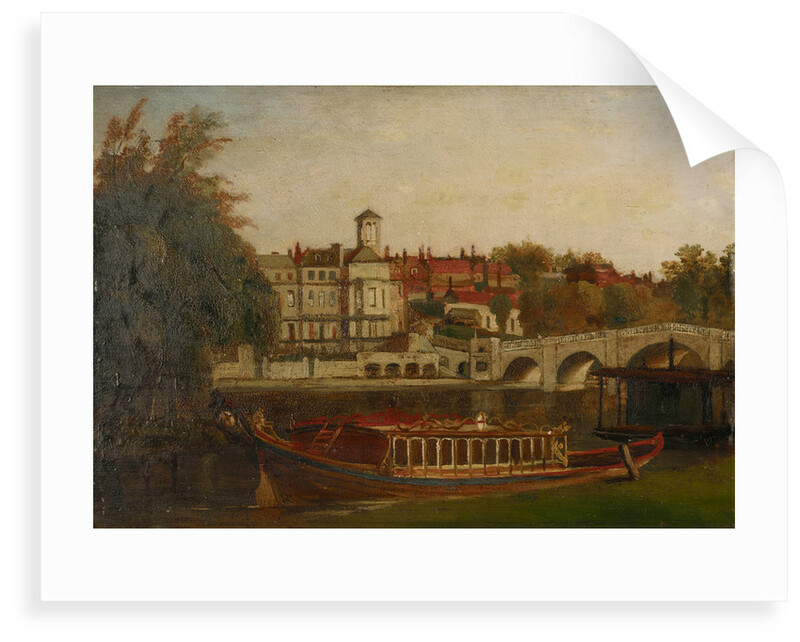 The buildings of Richmond are shown rising up on the far bank. 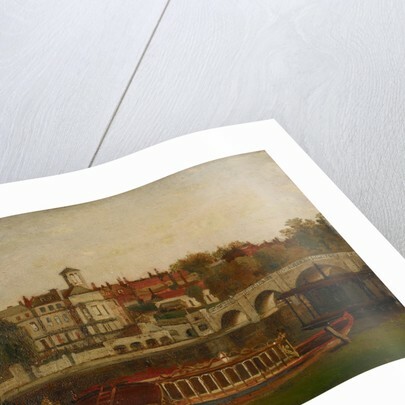 The artist has used blocks of colour to create the effect of the barge on the river, with an air of stillness and calm almost totally devoid of people.